I love gyros, they are one of my favorite foods. I remember the first time I had a gyro was at a city festival where food vendors were selling their foods. Mike and I had never had a gyro before and not sure if we had even heard of this type of sandwich before. But we decided to try them and we both fell in love with the gyro. Once in a while we will buy a gyro kit and have our gyro that way. The kits aren’t too bad and the gyros that they produce are quite tasty. 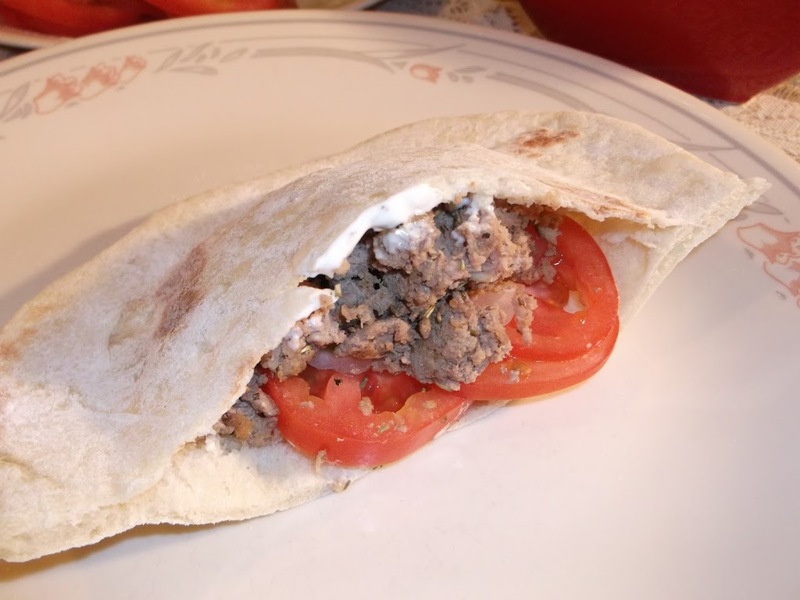 But since I made pita bread, which I posted in my last post I thought I would try to make my own gyro. I could not find any lamb in the grocery store so I settled for ground turkey. I had looked at different recipes to find out what would be the best spices and herbs to add to the meat and I finally decided that Rosemary was the way to go plus some salt and pepper. Also I want to have the Tzatziki sauce with this. I think that this sauce is what brings a gyro all together. 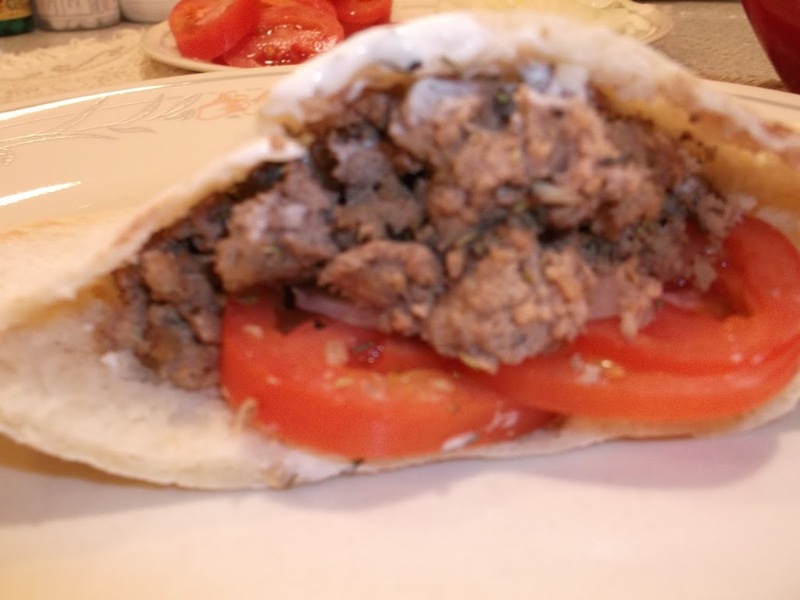 So I hope you will try this gyro, I am sure it is not the traditional way of making it, but the flavors were delicious. Plus it was easy and fast. You can make your own pita or you can buy them either way it will work. In large skillet put in ground turkey, minced garlic, and rosemary. Brown the turkey until well done. A cool companion for fried food and a fine dip on its own. Note: I used dill weed, since I did not have dill on hand. I did not have fresh mint on hand, so I found on the Internet that you could use mint extract as a substitute. I used a 1/4 teaspoon in place of the fresh mint. 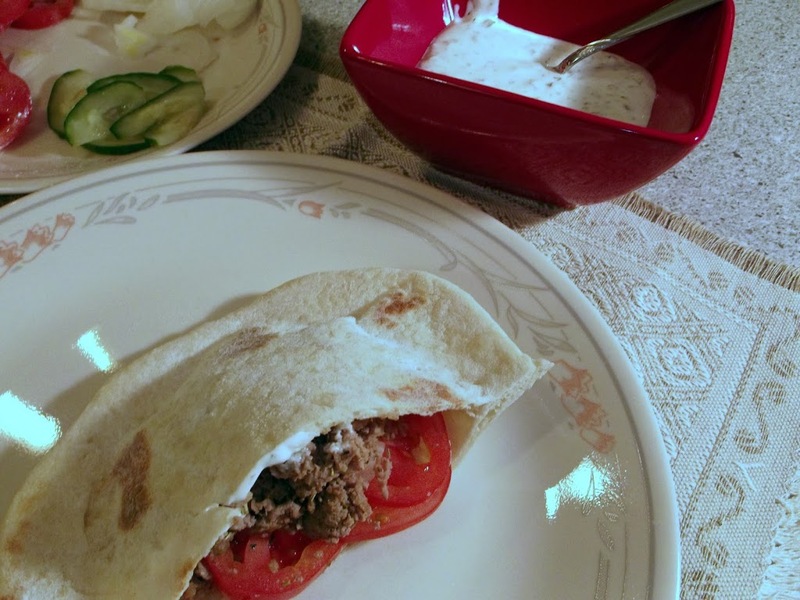 When I finally make homemade pitas, I will make these delicious looking gyros…YUM! I have a sudden craving for a gyro. It looks really tasty! Tzatziki sauce is just perfect paired with the turkey gyro. Great meal!